Mrs. Miner's Kindergarten Monkey Business: Best Blogging Contest I've Ever Seen and YOU Could Win! Best Blogging Contest I've Ever Seen and YOU Could Win! This is unBELIEVABLE! $850+ worth of digital images and scrapbook clipart for FREE if you win! Even if you don't win, they are having an UNbelievable sale. I had to read it twice to really believe it! 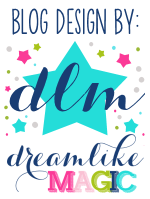 Go visit Oh Boy Fourth Grade's super cool blog to find out all of the details! You better enter quick, this is a giveaway you don't want to miss out on the chance of winning!! Popping thru from TBTS for the first time..... just wanting to see what everyone is up to. Love the look you've created here. I have so much to learn. Thanks in advance for the inspiration! !